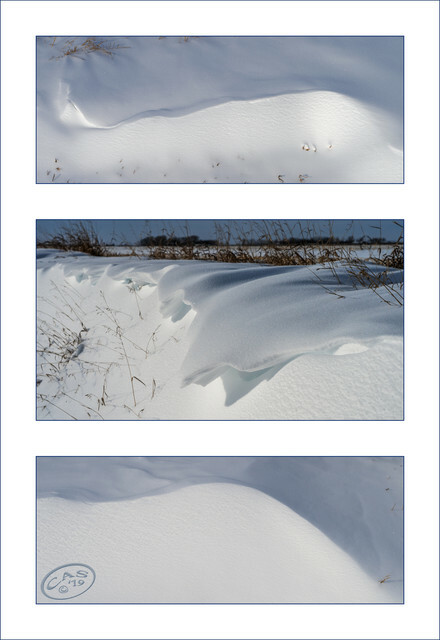 This afternoon .... small cornices along the ditch row by a country road. Sepiana: you said a winter scene would make a good triptych. I'd thought of that for some snow drifts but decided not to. And then decided to when you said triptych. Looks so refreshing that I would like to dive right into the centre of those drifts as it has been sweltering and intensely hot and humid in Sydney of late. Can't wait for the start of Autumn in just over 2 weeks time.